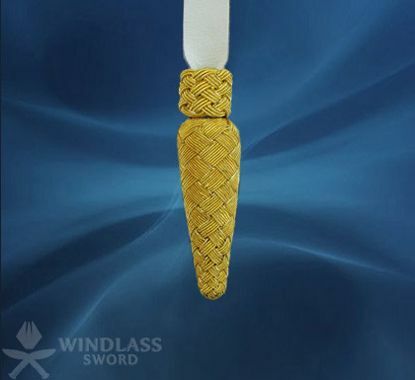 A military sword is not complete without the addition of a sword knot. Originally used as a lanyard and an essential accessory to a fighting weapon, the knot is now tied to the sword hilt as a decorative embellishment. Sword knots are of two main types depending on the uniform being worn by the officer. 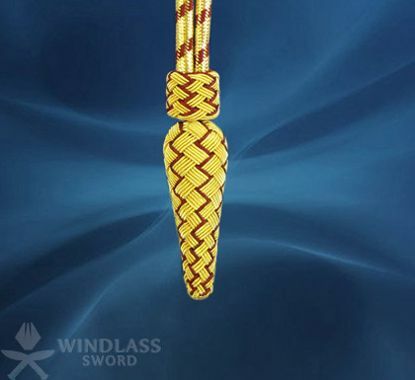 When wearing active service dress, the sword knot is a plain brown or black leather acorn and strap. Full dress versions are more elaborate creations of gold or silver with some patterns unique to a particular regiment or corps. This knot follows a basic design and pattern. The knot has a ribbon made of leather. It is entirely black in colour. It is suitably built for use in service wear. 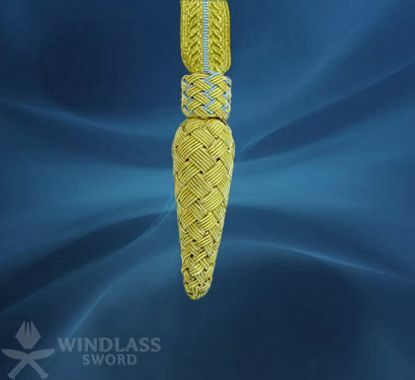 This is a dress version sword knot with a combination of leather and gold tassel. 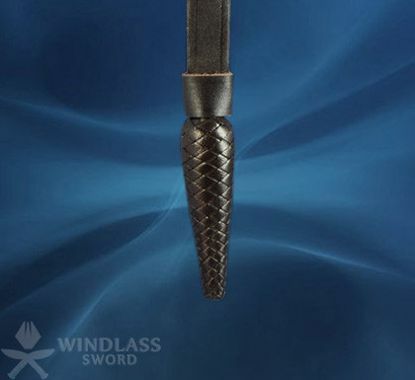 It has buff leather strap with a sturdy knot that prevents the officer from losing control over the sword. 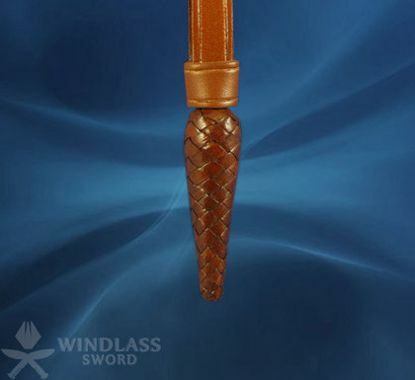 Neatly designed in brown leather, this sword knot is perfectly made for active service wear. The leather strap and leather ribbon adds strength to the loop so that the sword can be easily and tightly held. 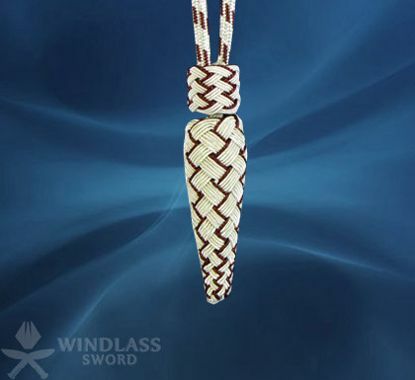 This knot is an acorn tassel in form and design. It bears a golden coloured ribbon enticed by crimson stripes. 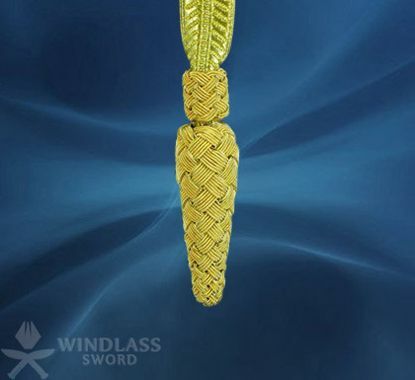 This ornamental knot offers a firm hold over the sword. The knot is appropriate for General Officer's sword. It is double corded embellished with crimson and gold. 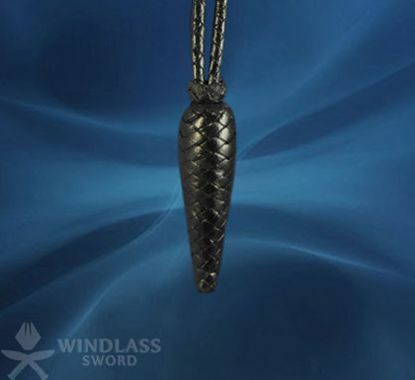 The acorn knot offers a tight hold on the grip. 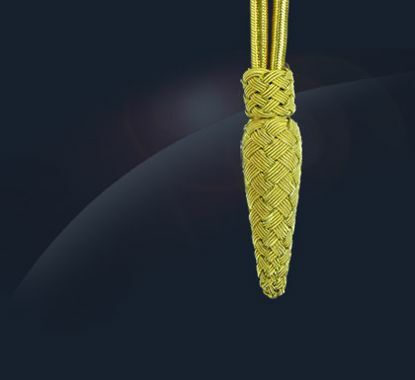 A flamboyant dress version; this gold knot begins in a gold braid and ends in a gold tassel. 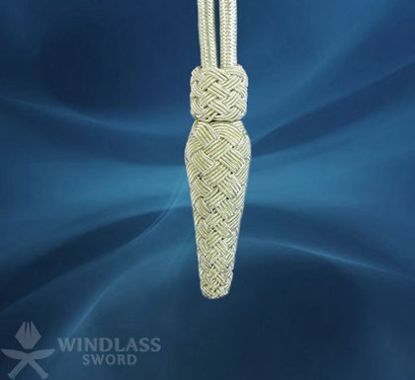 Completely grand in its design and function, this knot completes a sword. 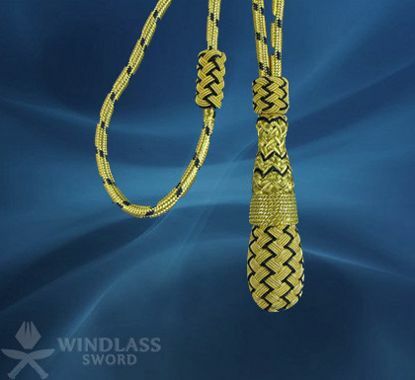 This is a grandiose ornamental sword knot. It has a golden strap, thinly striped in blue. Its design makes it royal in every aspect. This is based on British Naval patterns. It is exclusively designed in golden and black colour featuring a double cord along with a double knot. Acutely ornamental and aristocratic, it is a dress version. 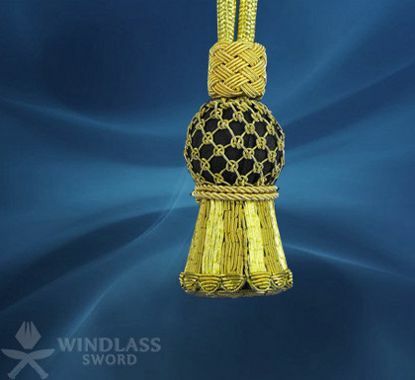 This golden and black coloured knot is synonymous of royalty. Purely ornamental in design this knot is a full dress version made out of gold cord. This knot is widely used for active service wear. It is made of tan leather; the leather strap ending in a stiff knot. Its material makes it highly durable, thus making the sword even more effective. The silver coloured chord ends in a firm knot. Essentially ornamental; it has a double cord. The knot forms a part of an officer's full dress version. This silver coloured chord has a red edging to it and ends in a firm knot. Essentially ornamental; it has a double cord. The knot forms a part of an officer's full dress version. 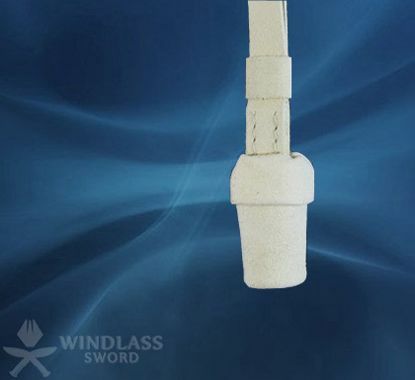 Designed in white leather this knot finds its prominent application in service wear. It is a very stiff knot beginning in a plain design. It very well meets the basic requirements of a sword knot.